HBU LIVE 6-13: COSMODIC © for Younger YOU! You will look and feel 10 Years Younger after just 2 Days! They say, time sneaks up on you like a windshield on a bug… You are busy running your life day after day, then one morning you look in a mirror… and cannot recognize that old person in it. Woam! What happened? How did I get here? Where did it all go? Can I have it back?? Ple-e-ase?! It happens to almost all of us. And when it does, fear sets in, clouds your life, and you have to learn to deal with it. That’s what ‘aging gracefully’ is all about, I suppose. You just learn to step down from the spotlight of life without losing your dignity, right? No, Home Healers! This is not for us. We do not have to age gracefully. We do not have to age at all! In fact, let’s all get younger together. On the inside and on the outside. Let’s regenerate our worn-out organs and rejuvenate the sagging skin. Let’s get those declining hormone levels up and grow back those telomere tails. Let’s regain the energy level that we had in our youth and sharpen our senses to see, hear, smell, taste, and feel LIFE again! HBU LIVE 6-13 Theme: COSMODIC © for Younger YOU! COSMODIC © is one of the most sophisticated and the least understood energy healing technologies on the market today – and one of the most effective for Regeneration and Rejuvenation, if used correctly. 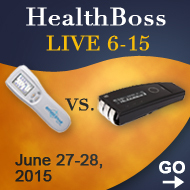 Our HealthBoss University LIVE conference this year will teach you everything we know about COSMODIC ©. We will share our understanding of the COSMODIC technology, our observations and experience with it over a number of years, and the best applications and protocols for COSMODIC that we have discovered in our practice – with a special emphasis on Age-reversal and Beauty, for both men and women :-). And if you doubt that it is possible, look at the page of our new Practical Professor from Slovakia who will be joining us this year Dr. Milena Lipkova. You will find pictures there that worth a thousand words. GO HERE to see some cases from her practice – and read about Dr. Milena below. Dr. Milena Lipkova. Is she really 66? “As a psychologist, I know that there are no coincidences in life… When I first got acquainted with SCENAR in Russia way back in the 90s, I immediately saw this technology as my companion and my motto for years to come – and I was right. That was the beginning of my journey into SCENAR therapy, which continued for 17 years to this day. During this time I have founded the Center for Bio-Regeneration SCENAR SLOVAKIA in Bratislava (Slovakia), where I treated more than 10 000 clients over the last 10 years. My clients usually remain my friends and often come to me for advice even after their course of treatment is finished. I have also taught SCENAR therapy to many mainstream and holistic health professionals, as well as laypeople. 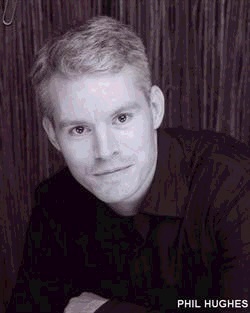 I focus my practice and my teaching on Rejuvenation, Anti-aging, and Beauty Enhancement. I have developed a new method of body detoxification and my unique proprietary technique of face lifting with SCENAR that have been used in my Center and all over the world with excellent results. Age-reversal and rejuvenation are not limited to your face yet derive from full body cleanse and metabolic and hormonal balance. When this balance is achieved, everything else will follow. You grow younger on the inside and on the outside, wrinkles diminish, your face regains tone and changes expression, and you want to LIVE again! All these miracles can be achieved with SCENAR – and I am going to show you exactly how to do it during our program at HealthBoss University 6-13 on June 22-23, 2013 in Ft. Lauderdale, FL. And better yet – You will do it on yourself and others, so by the end of our time together I can guarantee – you will look and feel at least 10 years younger! I myself can be a walking advertisement of the rejuvenation powers of SCENAR and COSMODIC. 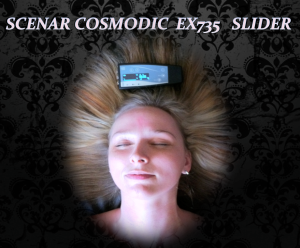 I am 66 years old, but I look and feel 40–45, and I continue to grow younger with new SCENAR-COSMODIC EX735Ag Modific Slider, which promotes actual rejuvenation of our cells. You know what this room is missing? YOU! Of course, you know that our Practical Professors are those who walk their talk and practice what they preach. 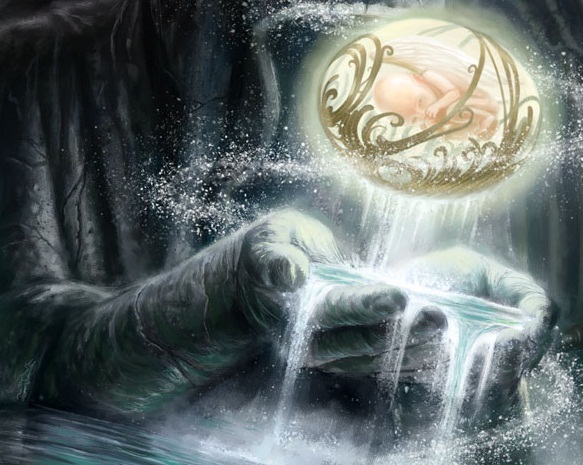 Each of them possesses a rare combination of experience, knowledge, and wisdom. They follow their passions and pursue their Big Dreams. They are also the most generous, giving, and happy people you will ever meet – the people you WANT to learn from. What are they going to teach you this time? Humankind’s eternal quest to conquer the laws of nature is an ever-fascinating subject. Where do we stand in the 21st century with regards to Regeneration, Rejuvenation, and Aging Prevention? Any major break-throughs? Even though the COSMODIC ® technology is gaining popularity, it is still mysterious and not well understood. Very little is written about it, and the lucky COSMODIC users, while enjoying their devices, still do not quite know how they work and how they are different from traditional SCENARs. In this segment of our program we will explain you COSMODIC ® technology the best we can and help you understand its uniqueness and its potential. This understanding will greatly improve your treatment techniques and ensure that you get the most out of your devices. In this segment of the program one of the world’s leading experts in COSMODIC devices will introduce to you to various second generation SCENAR models featuring COSMODIC technology and show you how to efficiently operate them. With all their diversity, COSMODIC devices have many similar features, and we bet that some of them you did not even know existed. We will also share some tips and tricks (not shown in the User manuals) that we found out in practice and that can straighten up your misbehaving device and ensure that it live long and prospers. The title says it. We will study and practice the most common COSMODIC protocols that we have perfected over the years working with COSMODIC and that we can recommend as the most efficient (max results in min time for the widest variety of health conditions). You will practice these protocols on your fellow students, and your Practical Professors will also help you develop your own COSMODIC protocols for the conditions most important to you. Dr. Milena will show you the most interesting cases from her practice and explain exactly which COSMODIC protocols were used to achieve the results that by any medical standards may be considered miraculous. How COSMODIC promotes Regeneration – and how we can use it’s power for Anti-aging, Rejuvenation, and even Age Reversal. This is a short Introduction to the topics to follow. The aging process as we see it in the 21st century. Your biological – and chronological ages. 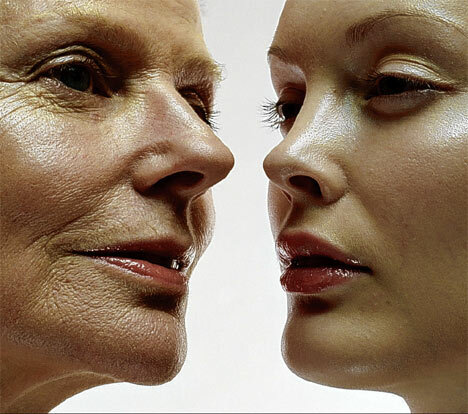 Factors contributing to premature aging and the main measures we can take to combat it. Dr. Milena will conduct a free demonstration of her Facelift Technique with COSMODIC. We will show how to do this protocol on yourself – and on another person, and then the group will practice on each other under the supervision of your Practical Professors. COSMODIC Detox – shown and practiced. Procedures and Protocols for cellulite treatment, breast lift, swelling reduction, posture improvement, skin blemishes and scar treatment, and much, much more. No doubt, COSMODIC is an amazing technology. Can it be even more amazing? It can, when combined with other complementary modalities and products! In this last segment of the program we will review modalities, practices, and products that enhance COSMODIC effects on the body the most. In fact, some of the products in conjunction with COSMODIC are used in patent-pending proprietary system of age-reversal that we will demonstrate to you (you will have a chance to try on yourself too). Our suggestions come from practical experience and, since any experience is limited, we do not offer them to you as „the final truth“. It’s just something that we have developed, that works for us and works well (actually, REALLY well), and can work for you too. Undoubtedly, you will find your own combinations in the future – and we hope, when you do, you share it with other Home Healers in our community. We will be introducing a new exciting addition to our array of remote SCENAR and COSMODIC electrodes – 3 types of electrodes made out of SHUNGITE. Shungite is a natural mineral of unusual composition and structure, an ancient rock formation that is said to be 2 billion years old. It is extracted only in Russian region of Karelia and has unique healing and purifying properties. Shungite receives its healing power from one of its elements, fullerenes – a globular hollow molecule consisting of several dozens of carbon atoms. Fullerenes, getting in our body, behave as the most powerful and most long-acting antioxidant as a means to fight free radicals. When fullerenes were discovered in shungite a few decades ago, it became a sensation. The importance of this discovery is that until that time, scientists were aware only of three modifications of carbon – diamond, graphite and carbyne. The new molecule cuts diamond as oil, slows down the growth of cancer cells, and substances from fullerenes can slow down the activity of the AIDS virus. The discovery of the fullerene was a real breakthrough in nanotechnology and was declared a sensation of the 20th century. The scientists who have made it received the Nobel Prize in chemistry in 1996. • a material actively interacting with electromagnetic fields of different nature (anthropogenic high-frequency, solar, geopathogenic, biofields) and neutralizing their negative impact. Add to it the healing power of COSMODIC…. We will show how three types of remote electrodes made out of shungite can be used in cosmetology with almost miraculous effect. Does all the above sound interesting to you? Then clear your calendars for June 22-23, 2013 and CLICK ON THE BUTTON BELOW to register for the conference. Alternatively, register by contacting us at 1-905-468-0033 or toll-free 1-855-468-0033 or email support@healthboss.org. The hotel of choice this year is Il Lugano – www.illugano.com. It is beautiful, cozy, conveniently located, and reasonable. 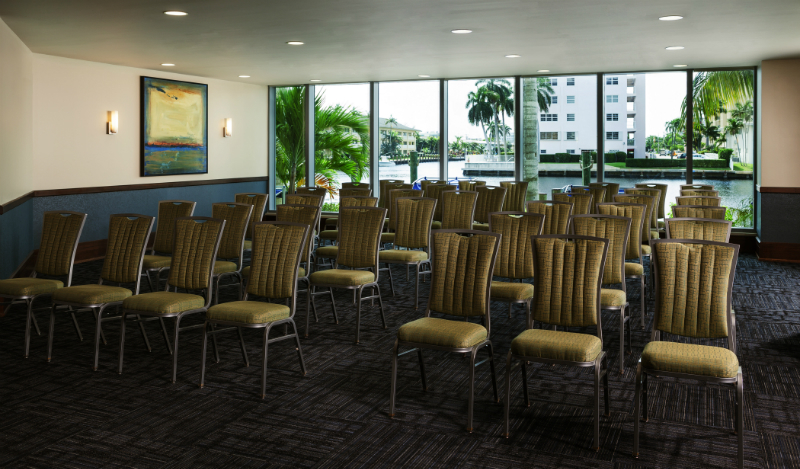 And it has a very nice meeting room overlooking the Intracoastal Waterway. Even though the hotel is considered “luxurious”, it gave us a really great group rate – $125 per night. And for that price you, apparently, can enjoy a kitchenette, a complementary wireless Internet, and even a washer and dryer in your suite. 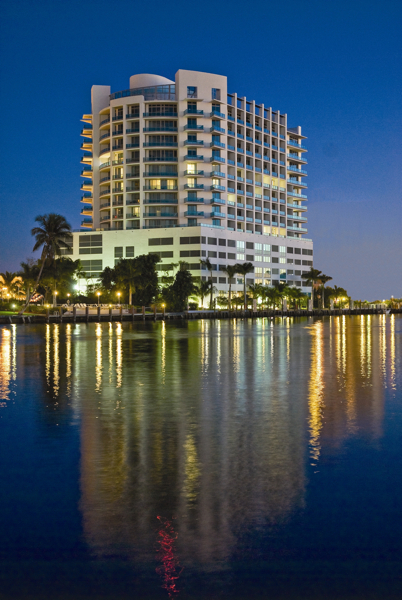 During your stay at il Lugano, you certainly won’t need to wander far to experience the best of Fort Lauderdale. You have a premium Intracoastal Waterway location, within minutes of downtown. The Intracoastal Water Taxi is just a short walk away, and they have private boats and complementary shuttles to the beaches, Whole Foods etc. Convenience all around. 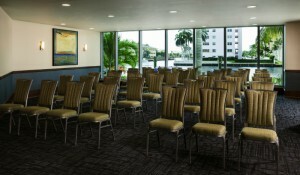 To reserve your room, call Sheila Nolan, Reservation Specialist, at 954.564.4400 or 954.226.5107. Our group rates are under “HealthBoss”. So get ready for everything that beautiful Florida has to offer. What is a better place for REGENERATION and REJUVENATION? Focus on reversing the course of your biological clock and prove to yourself, once and for all, that all biological processes in your body, including aging, are just PROGRAMS – and as such, can be reversed. Our bold promise to you is that YOU WILL LOOK AND FEEL 10 YEARS YOUNGER AFTER JUST 2 DAYS. COSMODIC and the related technologies will be instrumental in your age-reversing process, of course. But if you come to our program, you will have one advantage that no technology can offer you. It is the GROUP HEALING EFFECT that is always so strong at all HealthBoss University LIVE events. 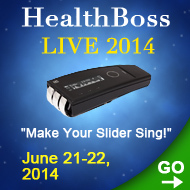 Want to see what our HealthBoss University LIVE events are all about? Join us at the HBU LIVE 6-13! If you have a COSMODIC device from us or if you are planning on getting it before or at the event, you get 50% discount and your attendance will only cost you $300 (enter the special discount code COSM in the shopping cart, if you register online). If you are a proud owner of the EX735Ag Modific that you purchased from us, then you can attend the workshop for just $200 (enter the special discount code MODI in the shopping cart, if you register online). Please remember that this workshop is very exclusive and limited to 35 attendees (that’s the capacity of a meeting room), so if you are late and we are fully booked, we will have to put you on a waiting list with no guarantee to be able to accommodate you. Is it worth your while to attend? You want to be a part of the very FIRST COSMODIC workshop in North America. You want to demystify and really understand this cutting-edge technology in order to get the best out of it and make your COSMODIC device sing the song of Regeneration in your hands. You want to rub shoulders with the best COSMODIC practitioners and trainers. You have burning questions about COSMODIC and want them answered. You want to know practical tips and tricks found in day-to-day COSMODIC practice that greatly enhance COSMODIC therapy, but usually do not make it to the video tapes, because they are shared in private conversations and brainstorming sessions. You would like to experience first-hand what COSMODIC can do to reveal your internal beauty and make it shine. You would like to youth at least 10 years in 2 days – and get a recipe how to keep it that way. I can go on and on, but is it really necessary? All attendees of our live events can tell you that there is NOTHING that can replace the healing energy and the powerful informational field generated by so many healers united as a group and in synch with each other (and armed with our space gadgets :-)). Just come see for yourself – and receive this one of a kind experience. See you in Florida in June? CALL OUR OFFICE with ANY questions or to REGISTER for HBU LIVE 6-13 at 905-468-0033 or toll-free 1-855-468-0033 or email support@healthboss.org. 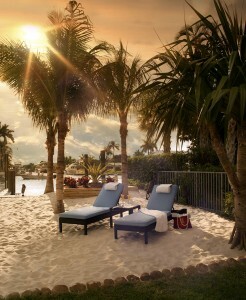 We are so looking forward to see you in Florida on June 22-23, 2013!